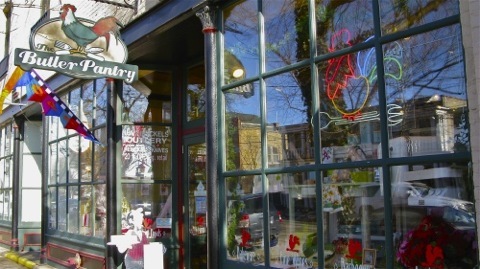 The lovely lakeshore village of Saugatuck boasts a number of unique galleries and specialty stores. 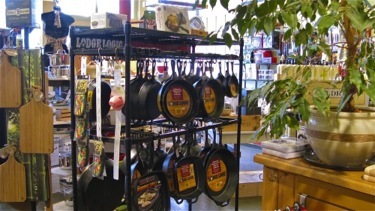 One of the most popular with visitors and residents alike is The Butler Pantry, a gourmet kitchen shop which has been a staple of Saugatuck since 1977. 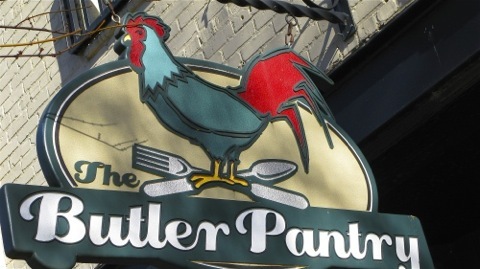 Located on Butler Street in the heart of downtown, The Butler Pantry is housed in a historic building dating back to 1904. The owners and 'culinary team' of Mike Usher and John Jerome have created a spacious and inviting retail space that could indeed be dubbed one-stop shopping for any foodie. 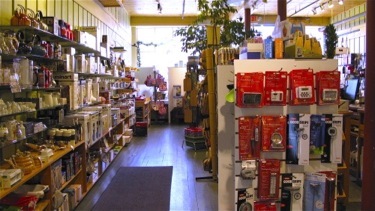 Step through the doors and you will be delighted at the sheer variety of items offered in The Butler Pantry. 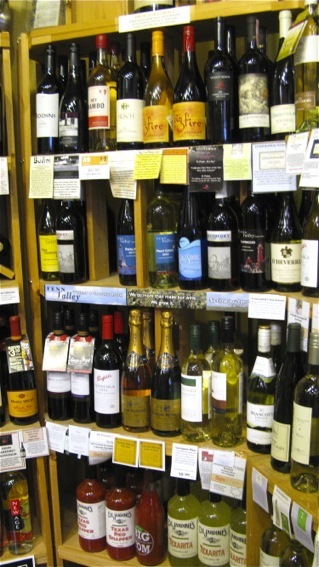 Wine from local vineyards, chef's aprons, butter pots, All Clad cookware, charcoal kebab baskets, and the store's own chili and soup mixes are just a few of the many specialty products on display. 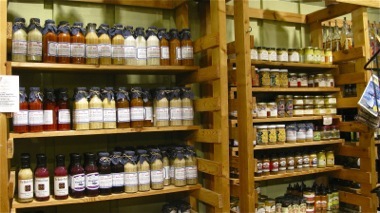 Check out the wide selection of mustards, salad dressings, dips and spreads. 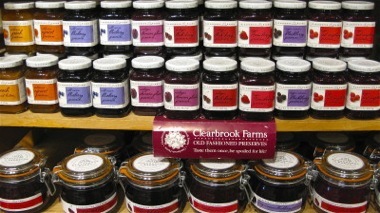 And the delicious preserves and jams from Clearbrook Farms are store favorites. 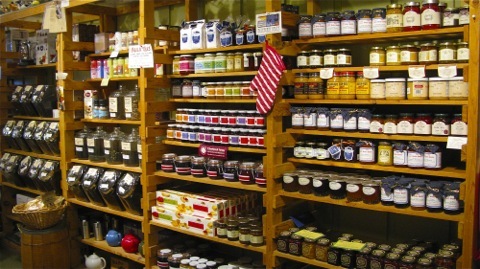 Btw, Clearbrook Farms uses only USDA Grade-A fruit from small family farms in their products. Even their containers are environmentally friendly. 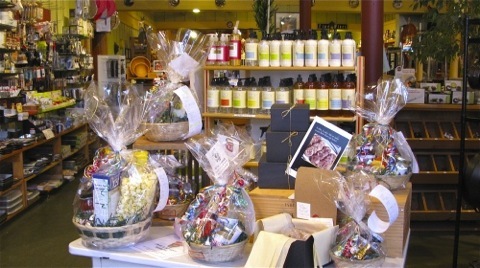 Gift baskets are available and can be custom-made. In the mood for an Italian dinner? 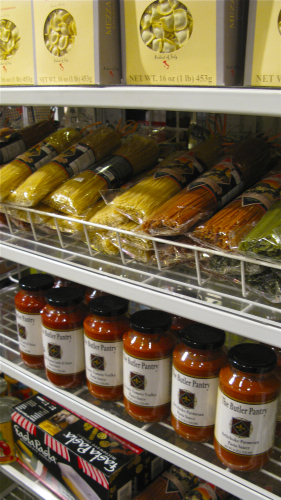 The Butler Pantry offers an impressive selection of sauces and pasta. 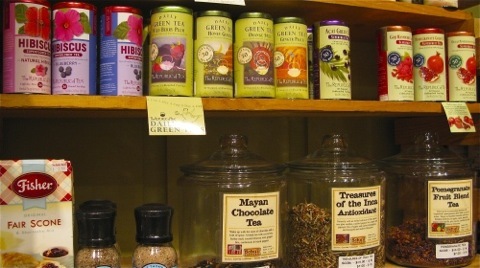 The Pantry's selection includes loose gourmet tea blends, as well as a variety of teas sold in unbleached bags from The Republic of Tea. Don't forget to pick up a box of scone mix to serve as the perfect tea time snack. And coffee lovers take note. The Butler Pantry sells Schuil Coffee. Based in Grand Rapids, Schuil was one of the first specialty coffee roasters in the country and is celebrated for the quality of its beans and its green coffee products. 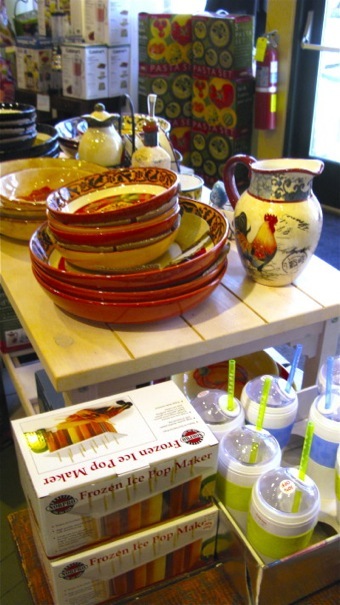 Whether you're interested in stocking the kitchen of a vacation home, or decide it's time to try the key lime mustard or Red Ghost Hot Sauce, the Butler Pantry is certain to have something to pique your interest and your taste buds. 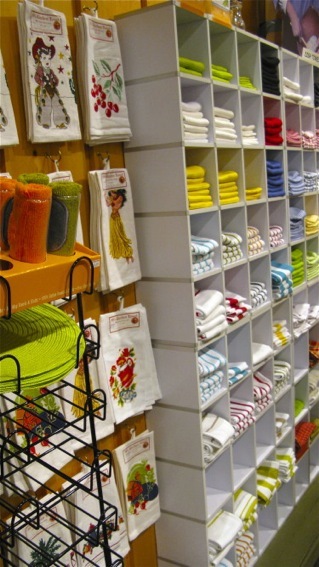 And best of all, The Butler Pantry is open year round.